This entry was posted in Composition, Recordings and tagged Bernstein, Coups de vent, ICP, Mark Foster, Ossian Ensemble, Sounds New on December 14, 2012 by Ben. 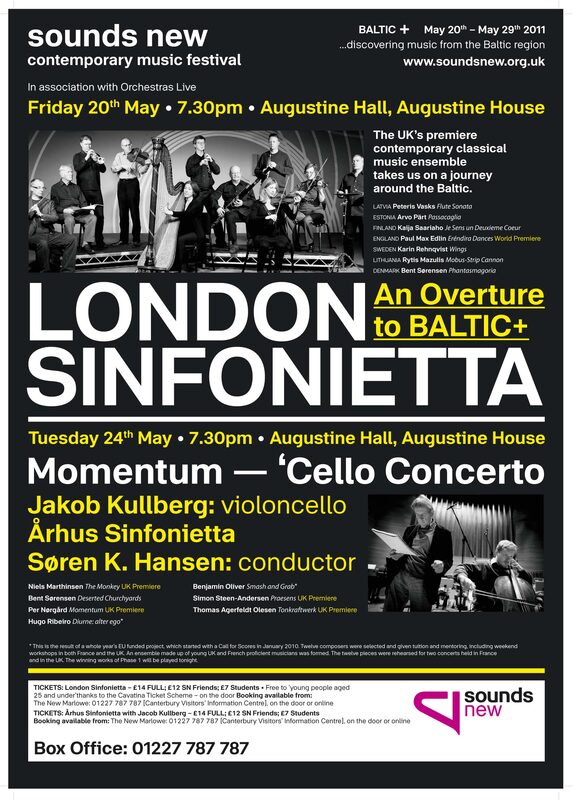 This entry was posted in Composition and tagged Aarhus Sinfonietta, Canterbury, Daily Telegraph, Review, Smash and Grab, Sounds New on May 28, 2011 by Ben. I’m currently working on a new piece for the ICP ensemble as part of the ‘International Composer Pyramid’ run by Sounds New and Coups de Vents. I had a good weekend in Canterbury a few weeks ago where we had some interesting panel discussions, instrument sessions and sessions with our composition mentors, mine being Edwin Roxburgh. I’m working hard on the piece and looking forward to our next weekend meeting in France in September! 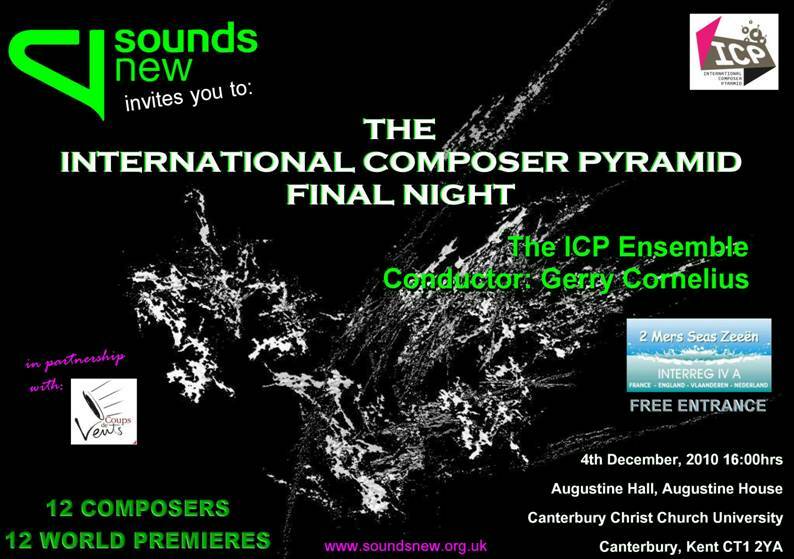 This entry was posted in Composition, Electronics and tagged Canterbury, Canterbury Christchurch, Edwin Roxburgh, Gerry Cornelius, ICP, International Composer Pyramind, Paul Edlin, Sounds New on August 6, 2010 by Ben.